When it comes to HVAC zone controls, it can be tempting to skimp on the quality of the damper because the cost can add up quickly if you need multiple dampers. This is a mistake, zone dampers have lots of moving parts and can be a source of many problems. A quality damper and proper installation are critical to a functional zoning system that will continue to operate for many years or decades. Scroll below to the "HVAC ZONING DAMPER GUIDE" for installation &sizing information. ZoningSupply.com ONLY carries the highest quality dampers. The most durable & well-made (IN THE USA) HVAC zone control dampers available. 5 Year warranty standard. The full rubber-seal gasket makes for the lowest air leakage. All-metal construction (including shaft) & tension washers LOCK the shaft in place so it can't be crushed from any direction. Industry LEADING BelimoTM actuator used on power damper. One end is crimped for easy hard duct install & there are ridges (ribs) on each end for "zip-ties" to fit securely when using flex duct. Click here to buy or see the full damper guide below. A zoning system can typically use the same duct sizing as a traditional single-thermostat system. 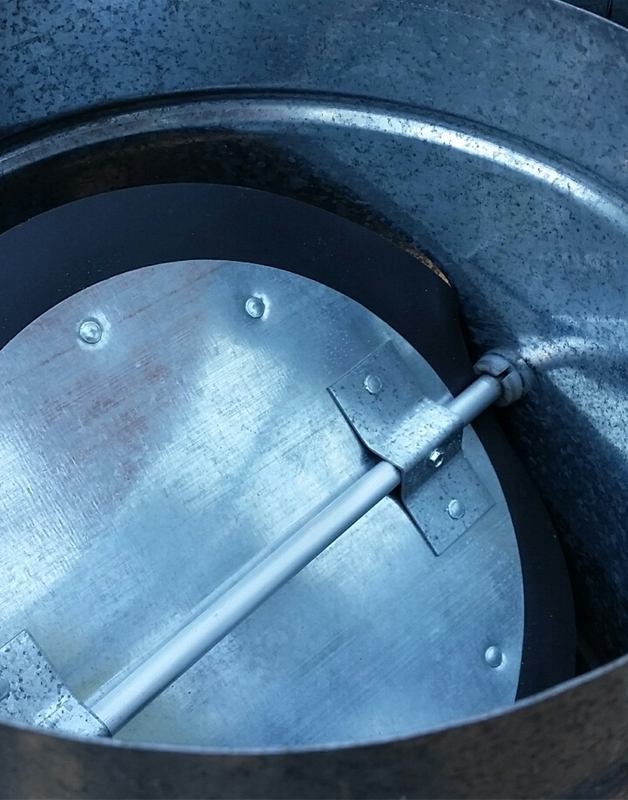 It is important to properly size and install a pressure relief damper as well as properly balance the zones. 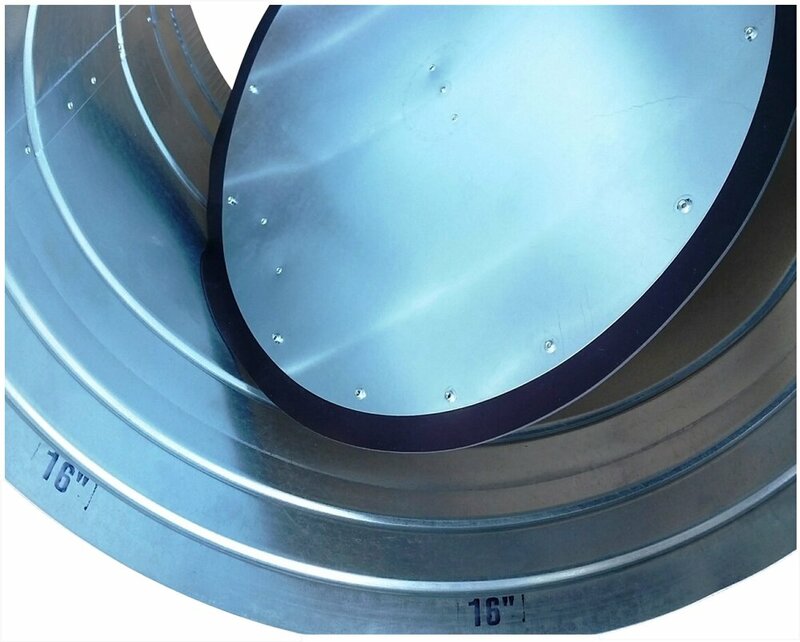 To minimize bypass air flow, increase the duct capacity by one size for each zone less than 25% of the total system air flow capacity. for systems with more than 4 zones, increasing the duct & damper sizes of the smaller zones (or all the zones) will minimize the amount of pressure relief needed when only the smallest zone damper is open. NOTE: Connect dampers directly to the plenum when possible and branch off smaller ducts going to different areas within the zones. USING this trunk/branch duct design will minimize cost and reduce air noise. ZONE BALANCE: To maintain optimal equipment performance in a typical zoning application, it is preferable for all zones to be similar in size. This does not mean that every zone must have EXACTLY the same heat load requirements but the system will work most efficiently if they are approximately the same size in CFM airflow capacity. This guideline will minimize the amount of pressure relief (bypass) necessary. NOTE: Avoid creating more than three zones with or zones smaller than 20% of the total equipment CFM capacity when using single speed equipment to ensure best performance. AIR NOISE: To minimize air noise, install the dampers as close as possible to the supply plenum. A good rule for acceptable air velocity to minimize noise is 600 - 700 FPM. Use chart in the bypass sizing graphic below to check the NORMAL CFM chart to select a size damper & duct that will accommodate the zone's CFM. Using this chart will ensure the air velocity isn't too high. For zones with multiple dampers, the total (sum) of all damper's CFM will be the zone CFM. RETURN AIR: Undersized return air ducts/registers can result in problems such as increased run time, even equipment failure due to Insufficient airflow (CFM & VELOCITY). To ensure the Return Air is large enough, verify that its surface area is sufficient to pass FULL SPEED blower CFM. Ensure ALL zones have unrestricted airflow path to a return air grill equivalent to the zone CFM. SPRING or POWER DAMPERS? : Power dampers are typically more durable, they have much higher torque and use only a fraction (1/4) or less power than spring dampers. Spring dampers should only be used when running 3 wires is not possible or it is required by code. SmartZone can handle either type but if you have an older zone panel, spring dampers may be required. Power dampers provide a superior reliability and typically are much quieter than spring dampers, even though the cost is slightly higher, it is worth it for the better product quality. 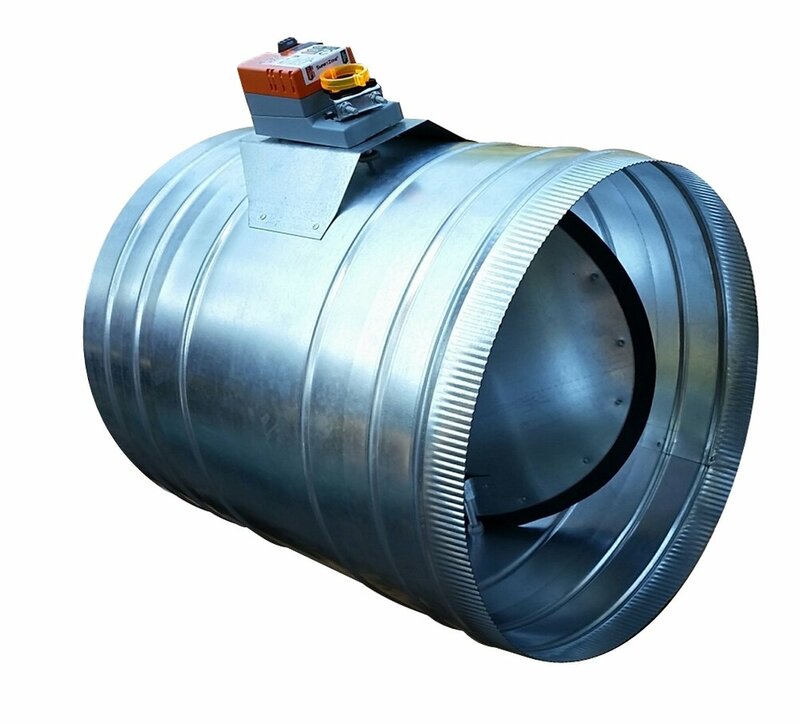 BYPASS (PRESSURE RELIEF) DAMPER: A bypass system consists of a short duct connecting the supply plenum to the return air plenum. A “bypass” damper is installed in this duct that opens/closes automatically to maintain constant pressure inside the supply air duct when zones open and close. When the correct size bypass damper is installed and adjusted properly, it will be fully CLOSED when all zones are calling (no air bypassing) and will OPEN proportionately as zone dampers close. MODULATING vs BAROMETRIC BYPASS: Modulating should be used when air noise is very important and when one or more zones are much smaller than others (imbalanced). Barometric Bypass is trickier to set up than Modulating but it can be a perfectly acceptable means of pressure relief if sized properly and set up correctly. See below for installation / setup procedures for each type of bypass damper. Bypass Install continued below for Modulating (Static Pressure Controlled) relief dampers. This is only a very brief overview of the duct and damper system involved with a zoning system, if you have any more questions, please contact us.